These newel bases are half size and designed to be fitted to a wall and are a great way to finish a handrail against a wall with a strong connection and a neater look. The half newel base will be used with a half newel post to form a complete structural stair part. 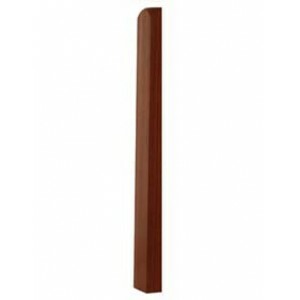 These bases are available to buy in a choice of timber and in a selection of sizes to suit your staircase requirements. Our stair parts are the perfect way to build or refurbish any stairs.